A 28-year-old man has been left seriously injured following a crash in Northamptonshire yesterday. 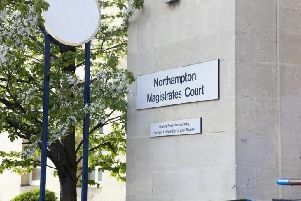 The man was driving a white Renault Master van at about 3.20pm between junction 1 and Catthorpe Interchange on the A14 westbound, when it was in collision with the back of a green Scania LGV being driven by a 50-year-old man. The air ambulance landed to take the injured motorist to University Hospital Coventry where he is in a serious condition.